If it has Meghan Markle’s stamp of approval, it has our attention. Birdies, the Duchess of Sussex’s go-to slipper brand, is launching its a first-ever bridal collection, so you and your wedding party members can rejoice. 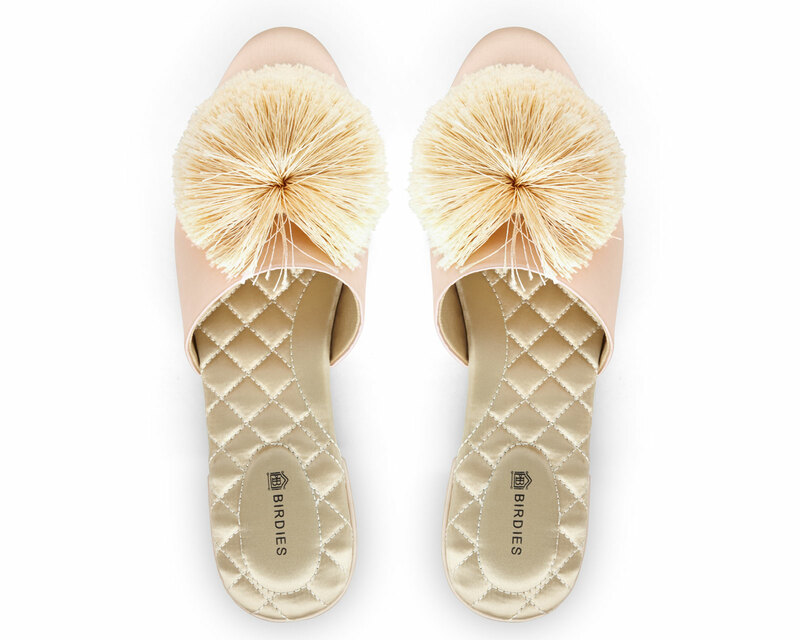 Co-founder Bianca Gates tells The Knot that her San Francisco-based company is excited about providing a much-needed type of footwear for brides and bridesmaids alike. 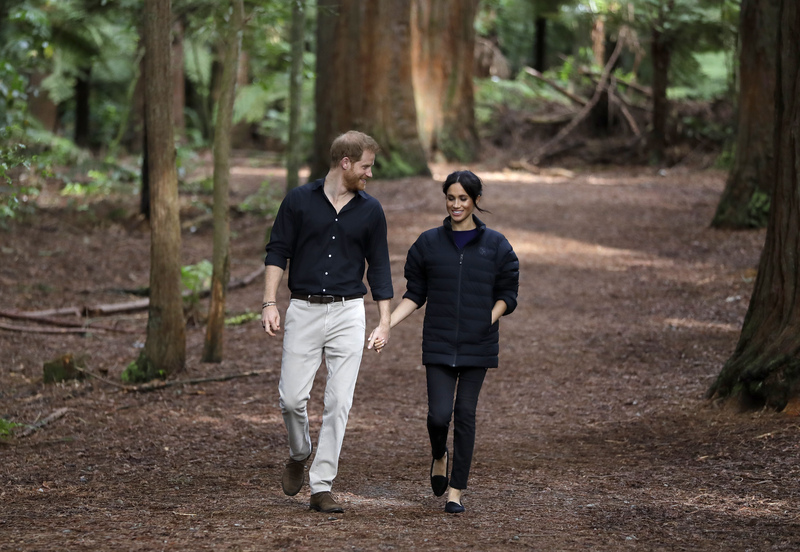 The ultra-luxe slippers, which offer up the look of a fancy flat with the feel of a favorite slipper, have made its way into headlines as of late especially after Markle has stepped out in the pieces repeatedly. “I hope it’s big, but we always underestimate,” Gates muses. “And then we realize that we underestimated, and then we go bigger and bigger… We’re really treating this launch as a test into the bridal market.” Here, Gates tells us all about the considerations that went into designing bridal Birdies, and how the concept for the shoe came about in the first place. Where did the whole concept for bridal begin? So then we got a little bit curious and we thought either there’s a black market for Birdies somewhere, which is scary to think about, or they’re just gifting these and we were curious: Who has so many friends that they were gifting these out? We started to reach out to these purchasers and quickly realized that they were giving them out as bridesmaids gifts… Walking through what brides wear throughout the day, there’s usually your typical beautiful robe and the only option would be to wear flip-flops or go barefoot. So we saw that there was this really big void in the market for just something cute and playful to wear on your wedding day…We wanted to create something sophisticated but playful, and be really mindful of the price point so that somebody could get several pairs of these. What about the Meghan Markle connection? Around the same time, Meghan Markle was getting married, and we just thought, “Gosh, what could happen if we design something for her biggest day of the year?” So we designed custom Birdies for her and we got a lot of great press from that. It was sort of that moment when we realized there might be something big here. And so we put a design team together to really figure out what [our brides] want, what her bridesmaids want. The result is what we’re launching: Something beautiful, elegant, playful, and hopefully at a price point where it’s not breaking the bank. There’s tremendous value in her wearing it on the biggest day of her life, and also, at the end of the biggest day of her life, when her feet are really tired, she can just throw these on and still look luxe and the princess that she is but feeling very comfy and cozy at the end of the night. When Meghan Markle stepped out in Birdies during her tour in New Zealand, the inventory sold out. Are you prepared for a bridal response? I always wonder if bands–when they’re writing a song–know that this is going to be a hit song or not. I’m always curious. It seems obvious after the fact that it’s a hit. But I have no idea! I think the data with the dress is really going to be a fun collection, and there’s a market for it. I don’t know how big it’s going to be, though. I mean, I hope it’s big. We are always very grateful and appreciative to her because she is sitting on the world stage right now, and it’s really given us more attention to the brand, but we say internally that the brand is bigger than any one person, and we really believe that. Data is everything for us. So if one amazing person wears this, we’re tremendously grateful and I think it can do a lot for our brand. The colors range from a beautiful blush hue all the way to a bold and brilliant jewel tone. How did you end up sourcing these colors? We took a look at a variety of bridal gowns, from whites to off-whites to cream to a variety of different soft off-whites, and then we also started buying a bunch of different really fun, playful robes that these women were wearing and pulling colors from those robes. From that, we ended up with soft, muted pastels. The last thing was we wanted something that was sort of a neutral. So even if [the bride] wore it with her white dress later in the evening, it should just be an added neutral. Or if it’s with a robe, it’s that added pop of color on her feet. We spent a lot of time poring over materials and fabrics and colors to get to this assortment. Talk to us about the materials specifically, which we’d describe as walking on clouds. That seven-layer cushion technology that we have in the bridal Birdies are in every single slipper that we make, whether it’s open-toed or close-toed or closed-back. Every piece has that seven-layer cushion technology that’s exclusive to us. The price point is great, too. How were you able to figure out the sweet spot there? And we really want to reach a broad market, so everything we do takes into account price point. Bianca, any advice you’d dole out now that you’ve been married for 10 years? I would say my best advice is to choose wisely. Really, and I say that with great respect to my now-husband. I knew exactly who I wanted to be when I got a little bit older, so picking the right partner who supports that is critical. For me, personally, I just always dreamt of having a seat at the table and how to design and build companies since I was a kid. That takes a very unique partner who is excited about supporting that vision of mine and leaning in more at home to allow me to do what I’m doing here. So that would be my only advice. Be the first to comment on "Exclusive: Meghan Markle’s Favorite Slipper Brand Birdies Is Launching Its First-Ever Bridal Collection"